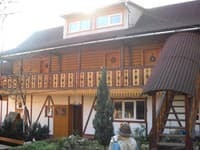 Hotel Olenka is located near the center of Rakhova. The hotel is a three-story building with rooms of different categories. 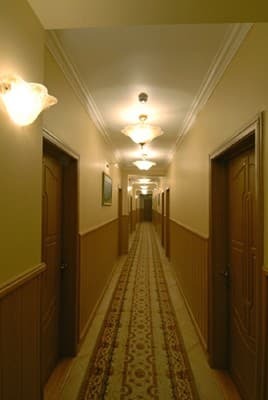 The hotel consists of 24 rooms. Each room is equipped with a private bathroom, refrigerator, TV with cable channels, double or single beds. 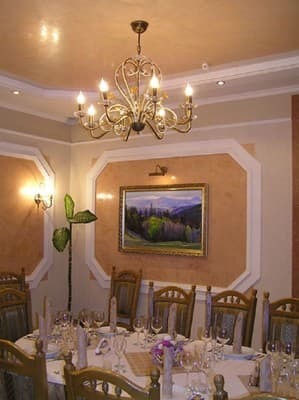 Guests can eat in the on-site restaurant, order an à la carte menu. The restaurant can hold banquets. There is also a small cafe-bar with a summer terrace. For the car there is a parking near the hotel. Residents can order different excursions at the reception. Distance from the hotel "Olenka" to the bus station Rakhiv - 800 m., To the city Uzhgorod - 211 km, to the city Ivano-Frankivsk - 135 km. 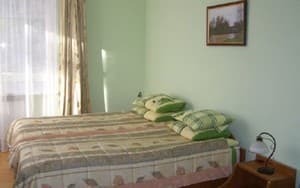 Description of the room: Single room is equipped with one bed. 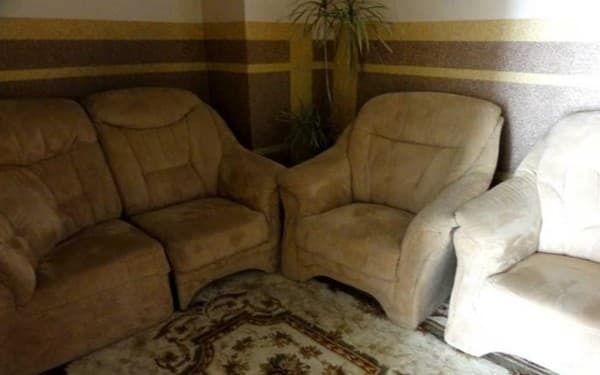 Description of the room: The room has a double bed or two single beds. Description of the room: This room is equipped with 4 single beds. Быстро заселили в 10.00 - спасибо! Комфортный, светлый номер, удобные кровати, наличие вешалок в шкафах, гель-шампунь, мыло в ванной. 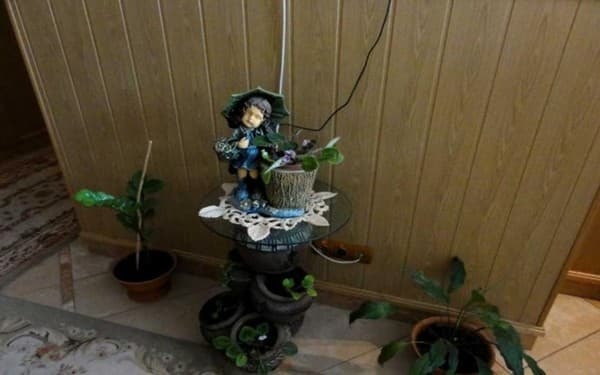 Неисправный холодильник - стояла вода внизу холодильника, которая все время вытекала, но холодильником все же пользовались. Заедал замок (если на 2 оборота закрыть - нельзя открыть, не предупредили). Хотя в номере были только утром и вечером - за 5 дней можно было хотя бы 1 раз подмести - было много песка, ходить по полу было не комфортно. Для 5 дней 1 рулончик туалетной бумаги на 3-х человек маловато, купили свою и впринципи норм. Guests can eat in the on-site restaurant, order an à la carte menu. The restaurant can hold banquets. There is also a small cafe-bar with a summer terrace. 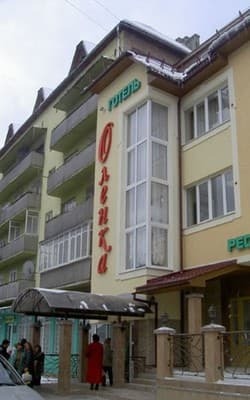 Hotel Olenka is located near the center of Rakhova. The distance from the Olenka Hotel to the Rakhiv bus station is 800 m., To the city of Uzhhorod - 211 km, to Ivano-Frankivsk - 135 km. By train to the railway station in Rakhiv or by bus to the Rakhiv bus station.